There's been a lot of those. Like I've been meaning to write a post last weekend, which of course, didn't happen. And snap some photos. Again zilch. And I've been meaning to sew after work at night. In fact I'm only a third of the way into collecting the blocks for this couch-quilt-to-be. Arghh! I wanted to be piecing the top by now. I also have been meaning to read a story to the kiddo every night. Natch. 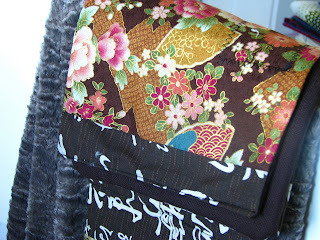 Not to mention, to have completed this project by the blog meet a few evenings ago. Gah! It has been promised. You peeps get the drift? The longer days and early starts (I'm talking crack-of-dawn here) are leaving me in a heap at the end of the day. I don't seem to have any energy left except for vegging out on the couch. One of these days I'll discover the secret of the "working mum". But I do love working and being around adult conversation again. The kiddo is doing better with the drop-offs. 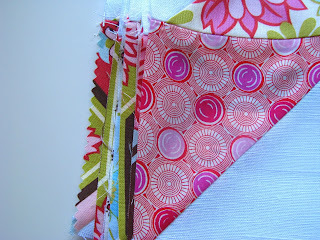 And now I'm making good with my blog and you crafty peeps. I missed you all. And I love my new scarf, courtesy of Bianca. Thank you! 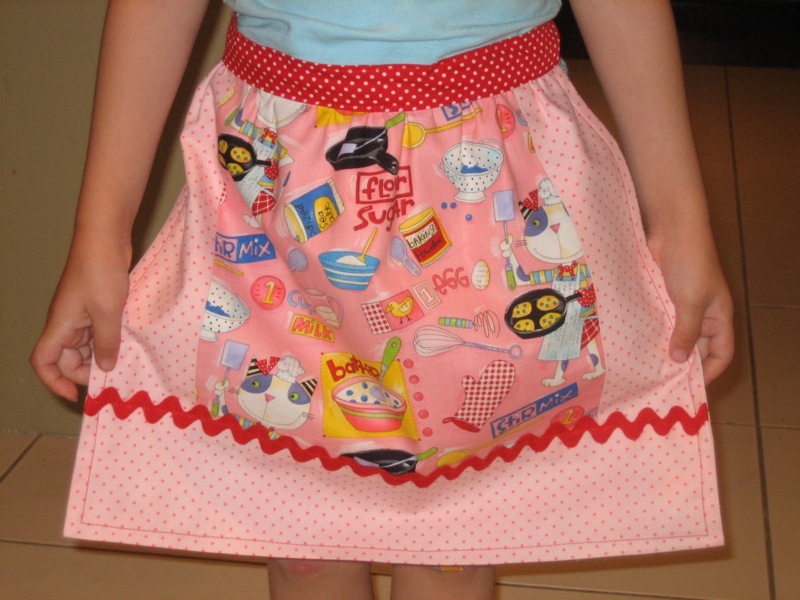 It goes so well with my favourite carpet skirt. Good to see you Jade. Can imagine it feels a bit frustrating that all your plans to craft and read to the kiddo are hard to achieve. But it’s great you love the job. It will probably take some time to get adjusted to the new daily schedule! Take care! I am glad that it's all working out! I can imagine trying to work and be a mum can be exhausting - says she who looks after only herself and still spends evenings vegging on the sofa! I am intrigued by all you are making and look forward to seeing the finished articles! I don't think I have posted anything remotely crafty in weeks!! I promise I'll get around to ringing you some time soon! Let me tell you the secret of the working mum..... it's a BIG MYTH!! Working mums are all secretly having a very tough time, most just have a talent for making it look so great! I hope you get into some sort of routine soon and your body clock adjusts to the hammering! Keep setting yourself craft time (ie: YOU time) so you can keep some semblance of sanity alive. I am surprised that you are able to have any time at all to craft. I think you are remarkable for what you are getting done whilst working. Go easy on yourself! It is hard being a working mum. I returned to work when my son was 18 months old and worked until he was 7 yrs old. I used to come home, cook dinner and then bath him and read him a story. We did try and play a game about twice a week but I had to do it early otherwise it wouldnt happen. I am sure you will find your own routine in a couple of weeks. Love the scarf, and the couch quilt is looking very pretty. 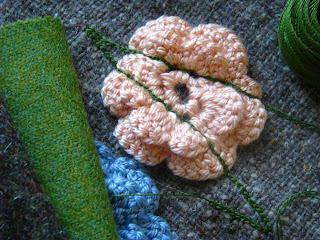 Can't wait to see what you are making with the crocheted flower - cute! It can be hard adjusting to a whole change again and there's so much more to do than when you last worked full time. Lovely scarf - lucky you! Thank God you're back. I was wondering where you went. I thought a nice hiatus? Well, we can all wish for one. I use to work part-time but I think my house would require an air crash investigation if I were to work full-time. I hear you on the adult conversation front. Sending **crafty dust** to you. This is my first time here and I was surprised with all you do, everything is beautiful. I will have you in my list and I will follow your jobs. Hugs! And we miss you Miss Dizzy! You'll have your new schedule all figured out before you know it -- in the meantime, at least you have collected fabric to show! I love to read your blog, which I just discovered (and my fave at the moment) - so glad you found time to post - working mums rock! Can't wait to see these things finished Jade they look so beautiful in the little snippets! My life is filled with 'I wanted this finished by ...' and never managing it! And I don't work! we missed you today and I didn't realise you had gone back to work....I would be terrible in the office right now!